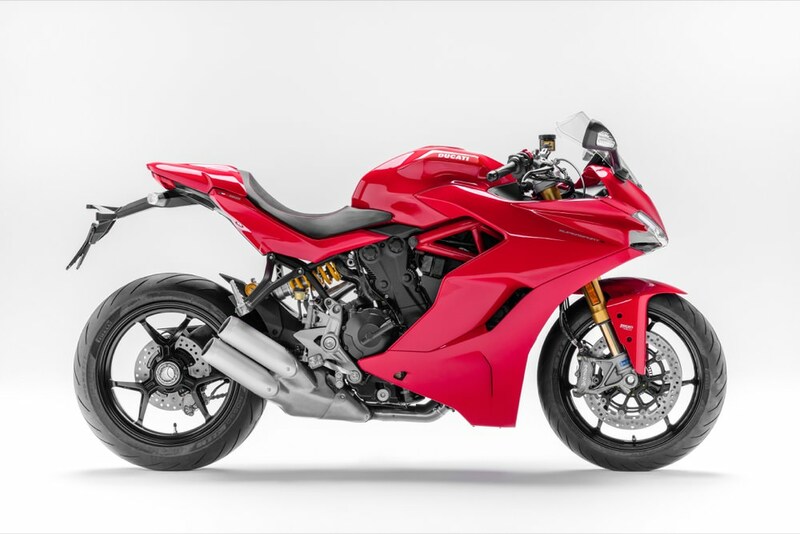 The new Ducati SuperSport could be the perfect solution to those who lust after a 1299 Panigale but ride more than on race circuits. 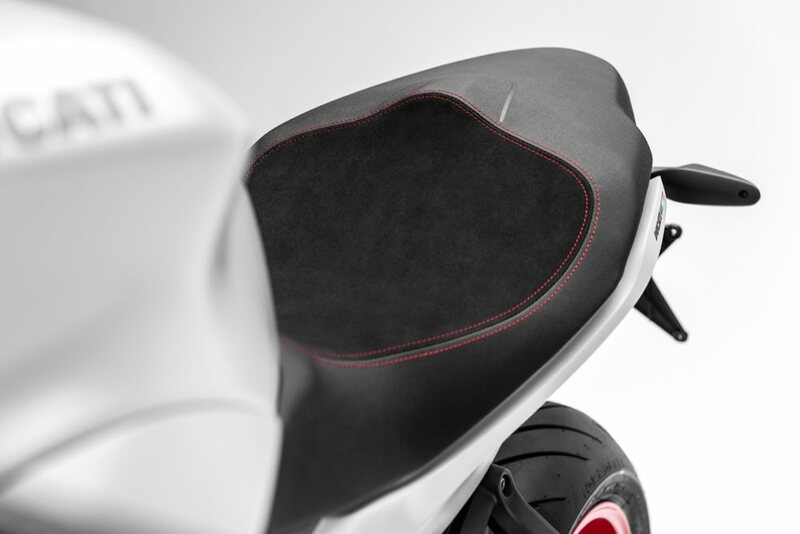 It’s pitched at those who want a ‘sport-inspired’ but with a more comfortable riding position. 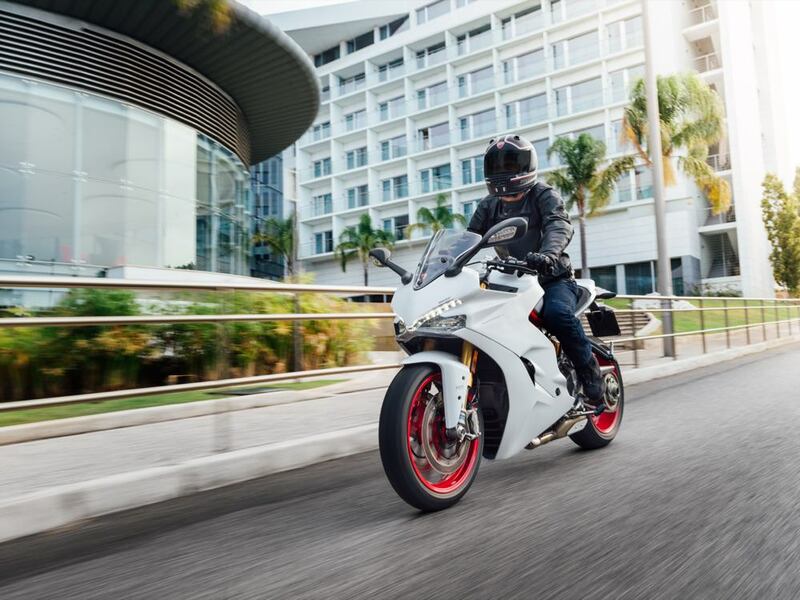 With its more ergonomic clip-on handlebars and larger saddle the SuperSport could be right in the Goldilocks zone for many daily riders. The SuperSport is mostly fully faired bike but isn’t quite as upright as the likes of the BMW R 1200 RS. It doesn’t lack any of the visual appeals of its more track-biased siblings either. 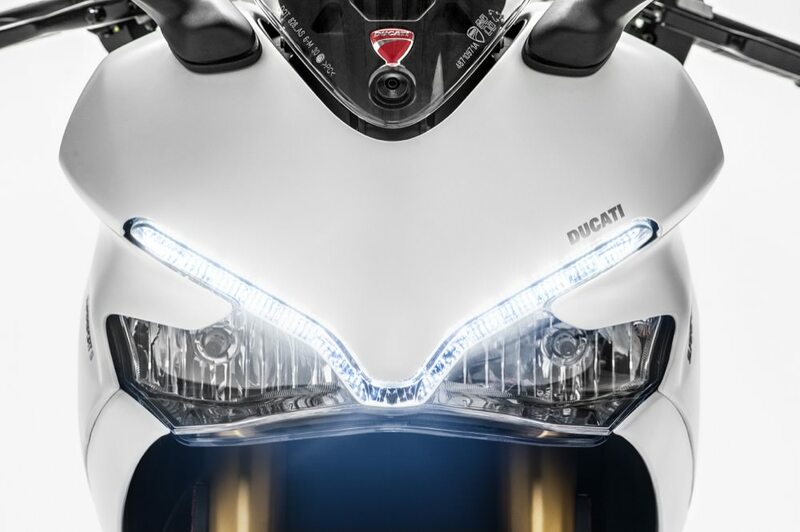 The front end gets a height adjustable screen and a very distinctive single daytime running light, with main and high beams placed underneath. Two stubby upswept exhausts are mounted low on the right-hand side of the bike, and the rear subframe is a pretty minimalist affair. 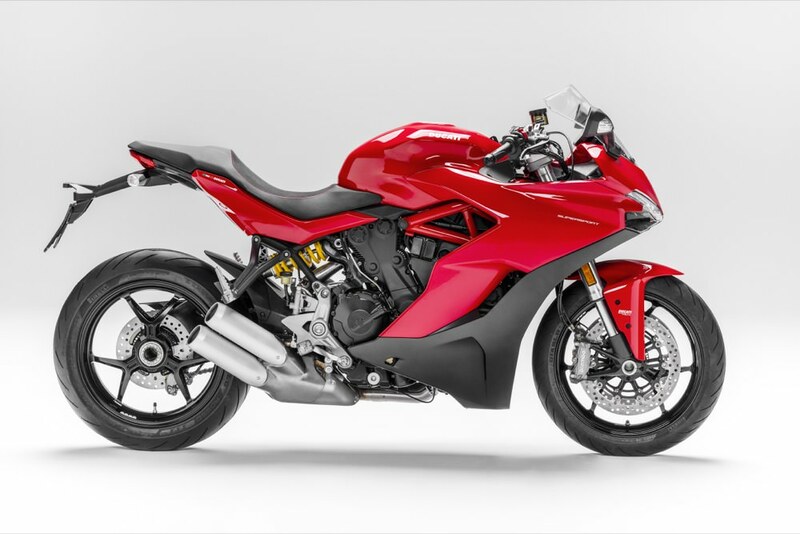 At the heart of the SuperSport is a 937cc Testastretta engine producing 113hp. This motor is equipped with three different riding modes: Sport, Touring and Urban. Adding to its more practical nature is a 16-litre fuel tank meaning you won’t be stopping for fuel every other day. SuperSport and SuperSport S differences? 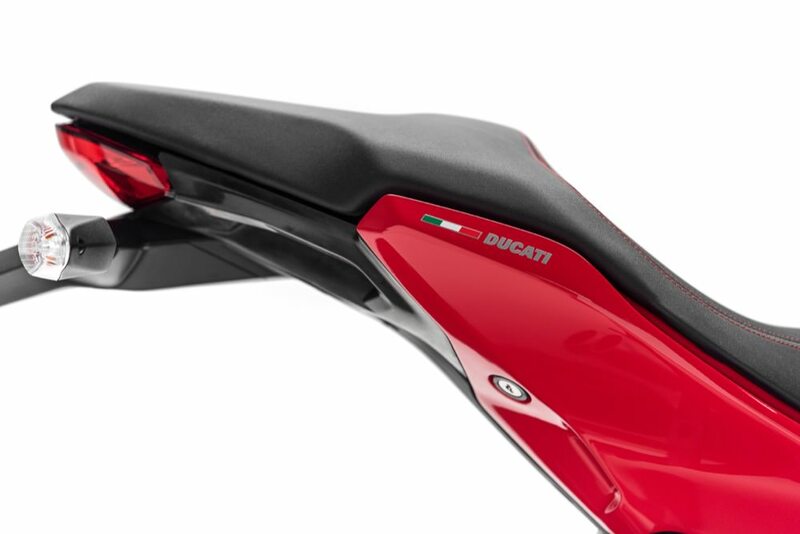 Ducati has two distinct models, the regular one and the SuperSport S. It’s easier to spot the SuperSport S as it gets a single-colour fairing along with along with a rear seat cowl to give it a sportier look. 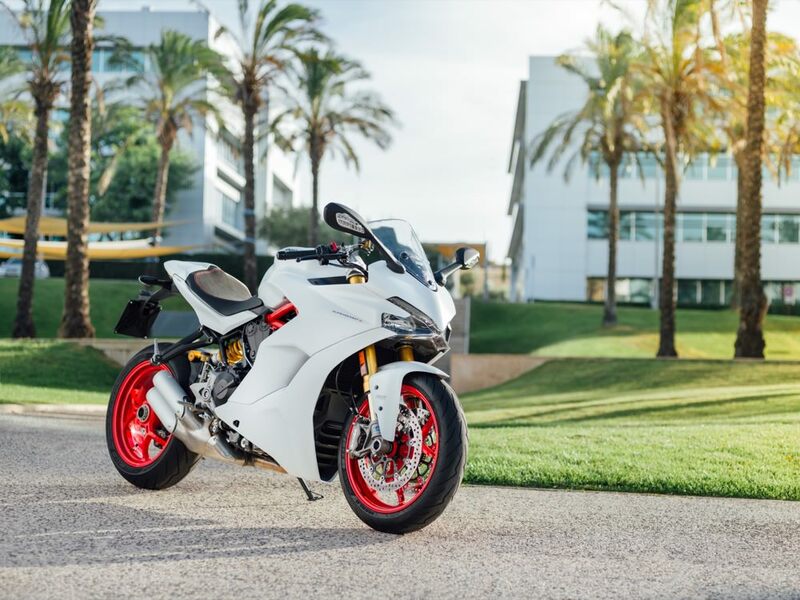 Other upgrades on the SuperSport S include Öhlins fully adjustable suspension and the Ducati Quick Shift system. 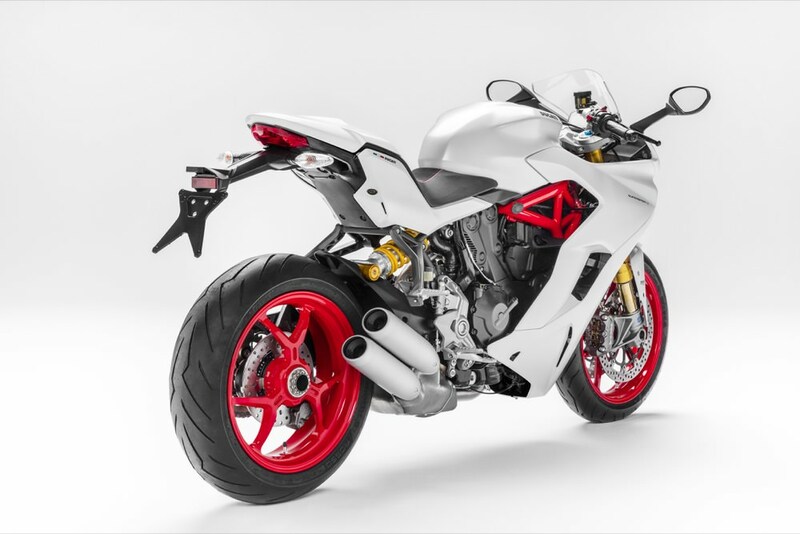 There will be a choice of Red or Silk White in the SuperSport S.
“I’m extremely proud to be able to reveal the latest Ducati 2017 bikes, starting with the SuperSport”, stated Ducati CEO Claudio Domenicali at the bike’s unveiling. 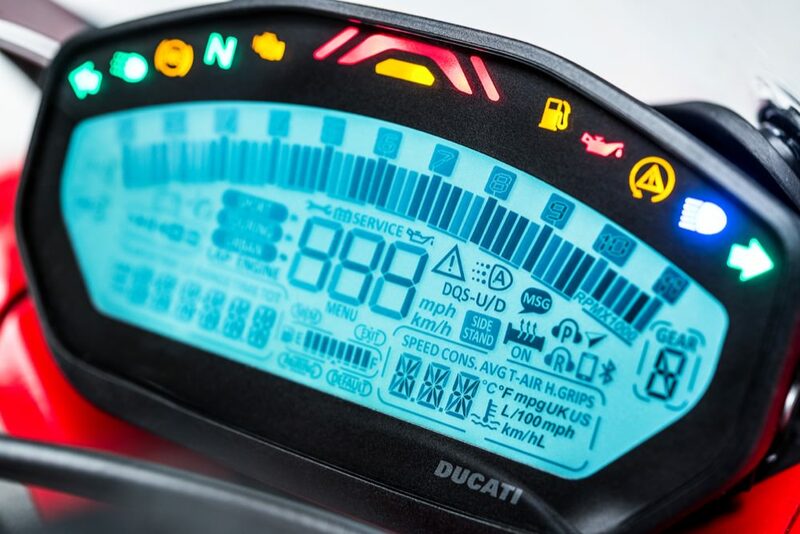 “After sharing a sneak peek with the Ducatista community at WDW 2016, we’re ready to present the bike to the thousands of enthusiasts who had eagerly awaited a sports bike capable of ensuring both fun and comfort, even in everyday riding situations. 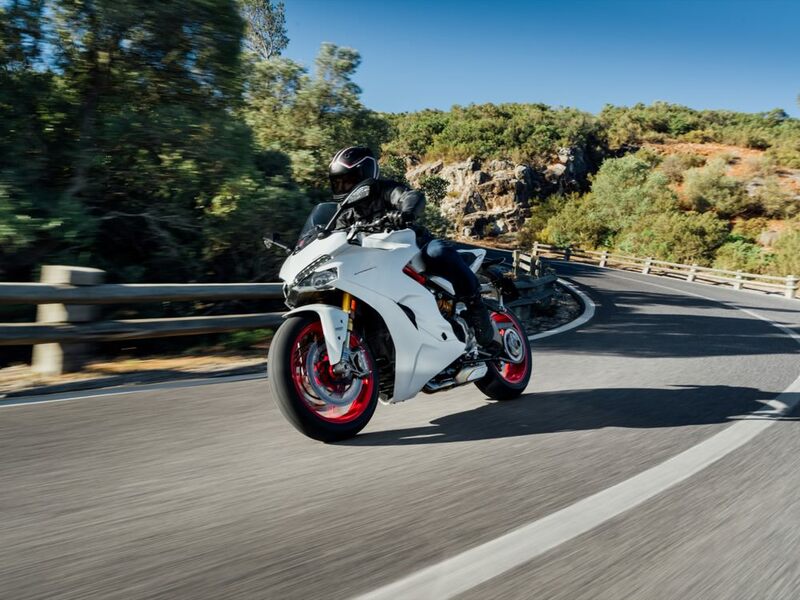 Expert riders will appreciate the true sports personality of the SuperSport, its excellent road performance and evident penchant for journeying and everyday use. Riders approaching the Ducati sports world for the first time will discover versatility, easy handling and, above all, the very essence of sports riding as Ducati sees it.” Mr. Domenicali then looked ahead to EICMA 2016: “Next month, during the Ducati World Première – to be held on 7 November and streamed live across the globe – we’ll reveal the other bikes being launched by Ducati this coming year, thus completing the range and, we can confidently say, meeting many of the needs and wants of the riders in our community and those who, thanks to these latest machines, will soon be joining it”.